Five foot ten, 176 pound British wrestler Heidi Katrina. Heidi is from Essex, England, UK and is 28 years old. She works for Sendai Girls' Pro Wrestling in Japan, but has also worked for Lucha Libre AAA Worldwide and Pro Wrestling WAVE. 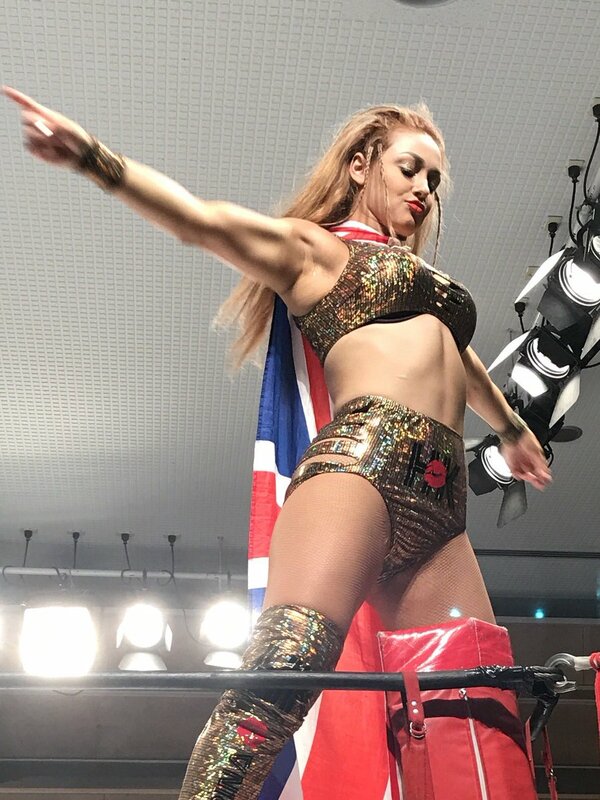 Heidi has held the ABC Women's Championship and the REINA-CMLL International Championship.